“Ongoing talks amongst ‘Coalition’ partners on how to contest the forthcoming Gambia`s National Assembly election seems to be in disarray, as parties still differs on positions. Confirmed reports has it that PDOIS has unceremoniously pulled out of the coalition and will be contesting the parliamentary elections under the banner of the party instead. Halifa is hugely credited for helping to bring the 7 political parties together in their successful bid to oust president Jammeh from power in a historic Dec 1 presidential elections. There’s no doubt about Halifa’s intellectual ability and knowledge to push president Barrow’s developmental agenda forward with his experience as a veteran politician. With all the criticisms over his refusal to accept ministerial position, Halifa continue to sit on the fence and watch others do the work. He’s now eyeing a national assembly position against the coalition party he helped create. The National Reconciliation Party (NRP) led by Mr. Hamat Bah disagreed to contest the parliamentary election under the Coalition`s ticket. The NRP wants to put up candidates in 51 of the 53 constituencies of the country, but has no plans to put up candidates against Halifa Sallah in Serrekunda and Sidia Jatta in Wuli West. 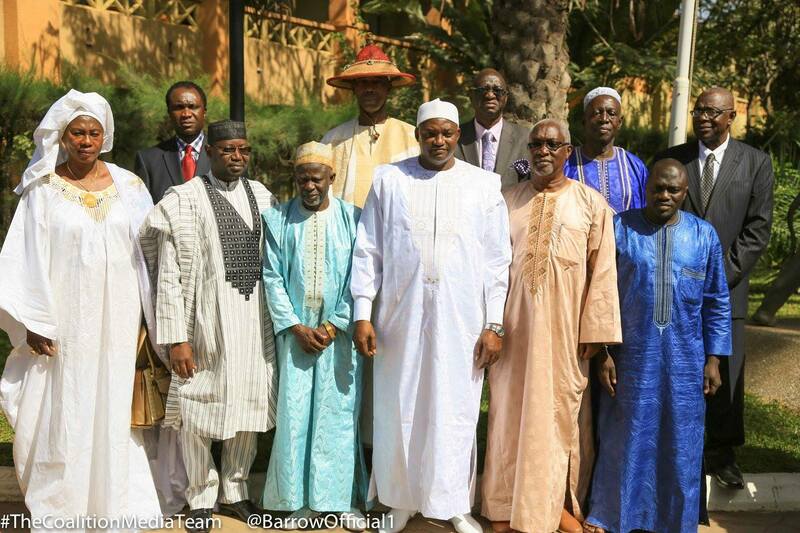 The United Democratic Party (UDP) led by Ousainou Darboe holds a similar position to that of the NRP. Lawyer Darboe is insisting that his party will put up candidates in the entire 53 constituencies. Chairperson of GOFER Fatoumata Jallow Tambajang was approached, but said the discussion among the leaders is ‘inconclusive’. If the reports we are getting is anything to go by, then this will confuse many as to who is tearing the coalition apart. But it should be also understand as citizens that these people will disagree on issues based on principles while some will be greedy and power hungry.